Description: A free customizable course plan mind map template is provided to download and print. Quickly get a head-start when creating your own course plan mind map. 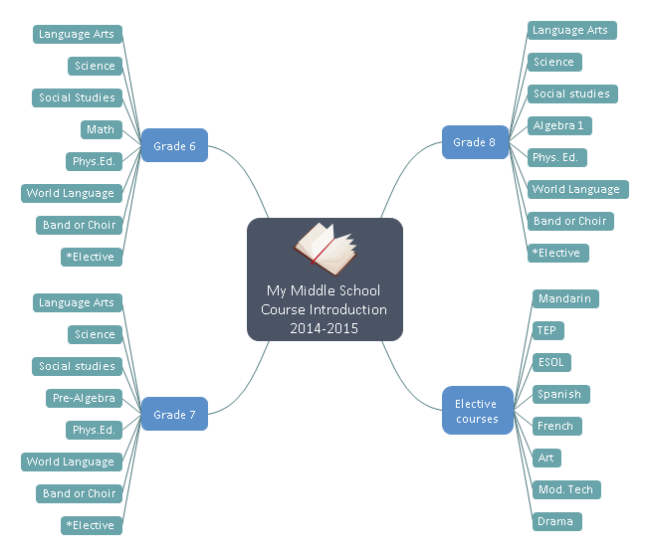 It lists out the major courses in middle school for students so that they can get prepared better.